Minimalist Thursday? I dunno, mebbe. 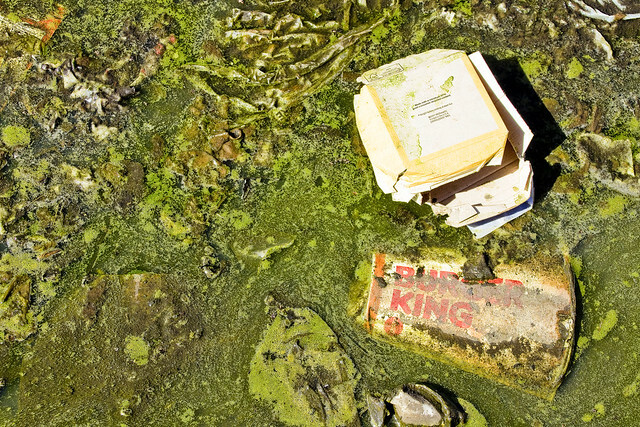 The shot above is from Greenpoint, showing some of the curbside slime and garbage which distinguishes the neighborhood, and I captured it on Earth Day Sunday. Dichotomous, yes. Sarcastically offered, probably. All too commonly observed, absolutely. Doesn’t anyone else just carry their litter with them until reaching a receptacle like I do? Seriously, how far do you have to walk to find a dumpster in the age of gentrification? 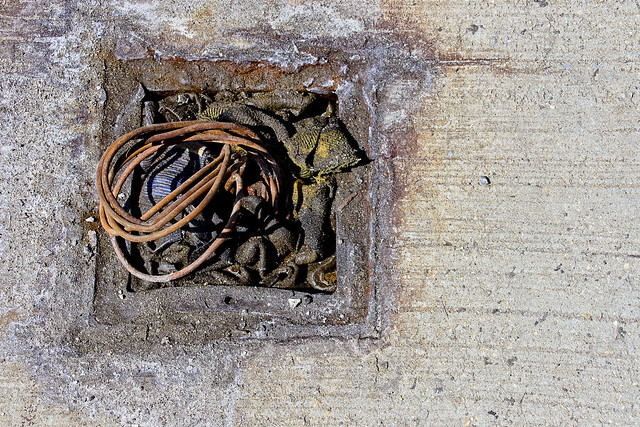 Looks like someone was prying into one of the electrical hatches on the Greenpoint Avenue Bridge again, and observationally causing a small fire while likely trying to harvest the copper wires held therein. Happens all the time, I’m told, in the age of cash on delivery metal recycling. The Crows, which is my pet name for the metal collectors, will sweep in and grab up anything shiny on the pavement. Sometimes that includes manhole covers and the screw caps for fire hydrants. One was waiting for a sandwich recently at the little bodega across the street from HQ back here in Astoria, and while a gentleman named Carlos was expertly manipulating the grill a humble narrator wandered about the shop with the camera in hand and snapped out a few shots for future usage. 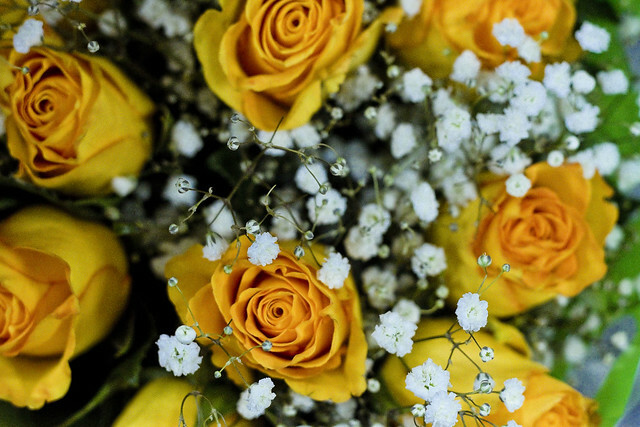 That time is now, in the case of the flowers pictured above. I despise baby breath accent flowers. Too smarmy, no?